I've been reading a lot about Red Hat products lately and being interested in cloud and such since some years now, it's pretty obvious for me to look into the cloud offerings from Red Hat in more detail. Arun did a great overview about JBoss xPaaS back in April this year and I thought it might be time to not only give you an overview but also point you to all the relevant information that interested developers need to know about. If I missed something, or your stuck somewhere, don't forget to reach out to me and let me know! A very tiny little overview to get you up to speed. 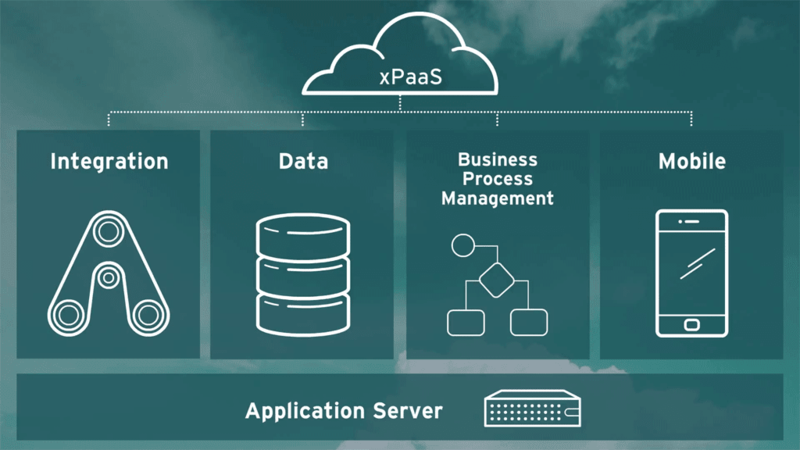 To make it simple, JBoss xPaaS services is another name for having all the powerful capabilities of JBoss Middleware available as a cloud based services, ready for use on OpenShift. A main differentiator to others is, that it is not just a bunch of services with little to know integration. It is a complete set of pre-build and ready to use integrated services. For those interested why it is called xPaaS: Gartner uses the term xPaaS to describe the whole spectrum of specialized middleware services that can be offered as PaaS. Red Hat has the complete implementation. Time to dig deeper into the individual pieces. The idea here is to just breakup the streamlined names a bit and break them down to the individual products and upstream projects used in it. Note: Some features on OpenShift are in Alpha release state. Designed and provided for developers to experiment with and explore. And for the i and bpm-PaaS offerings which can be deployed in the free OpenShift Online gears, it is recommend to use medium or large gears for optimum performance. The app-container services of OpenShift for Java EE 6 with Red Hat JBoss EAP/JBoss AS and Java EE 7 with WildFly is there for more than 2 years already. This is the foundation of everything in the xPaaS familiy. To keep it DRY, I put everything which is OpenShift related in this section. The integration services consist of two separate offerings at the moment. One is The JBoss Fuse enterprise service bus and the other is JBoss Data Virtualization. The AeroGear UnifiedPush Server allows for sending native push messages to different mobile operation systems. This initial community version of the server supports Apple’s Push Notification Service (APNs), Google Cloud Messaging (GCM) and Mozilla’s SimplePush. That's it for a first overview. Let me know if you're missing something. I am committed to close the gap and make working and developing with xPaaS a fun and productive experience.